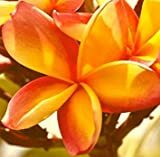 Frangipani growing succulent shrub or small tree of the genus Plumeria also known as Plumeria plant, Frangipani perennial deciduous plant used as fragrant ornamental plant can grow in tropic, subtropical, mediterranean or desert climate and growing in hardiness zone 10+. Leaves color green, the leaves elliptic shape with pointed top. 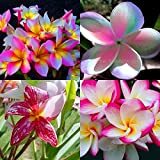 Flower fragrance in the color purple, pink, yellow, white, orange or red, some variety can be more than on color, mostly yellow in the middle of the plant, the flowers has five petals. 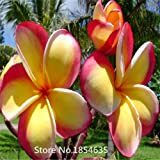 Hawaiian Red Ula`ula Plumeria (Frangipani) Plant Cutting....Shipped from HAWAII from a PEST-FREE certified Hawaiian nursery with the proper U.S. Department of Agriculture stamp.